The Heart of the Cotswolds is a five-night village-to-village walking tour condensing the best of the Cotswold Ring and all the finest villages into four days’ walking in one of the most scenic areas of England. We are based in the Cotswolds – we know this area very well! 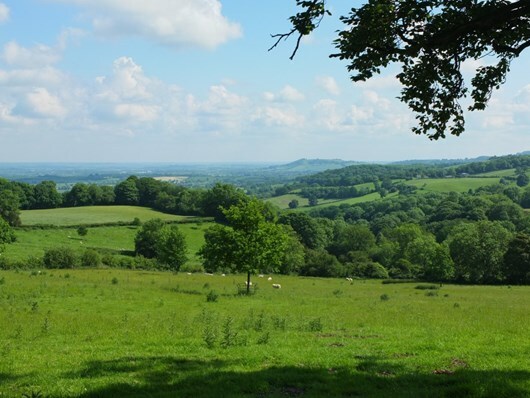 “The Heart of the Cotswolds” is a self-guided walking tour of the very best scenery and villages in this beautiful region condensed into four days of walking and with five nights in Bed and Breakfasts (or hotels if requested). From Sudeley Castle in Winchcombe, to Chipping Campden with its ancient covered market, to the folly at Broadway Tower and the Arboretum and Falconry Centre at Batsford, there is something for everyone. You can start in any of the overnight stops along the route. For those who do not want to move accommodation each night, the holidays can be turned into a two base holiday with pre-arranged transfers. Single supplement depends on the level of accommodation chosen. Please ask. 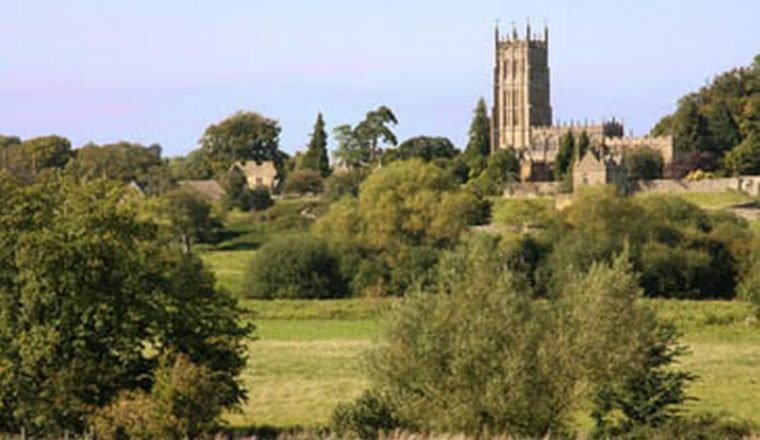 An additional night can be added so that you stay in the lovely village of Chipping Campden – halfway between Broadway and Moreton in Marsh. Cost for this depends on accommodation chosen so please ask. 5 nights B&B in rooms with private bathrooms, luggage transportation, guidebook and maps, back-up service. Day 1: Arrive Moreton-In-Marsh for overnight. Day 2: Moreton in Marsh to Bourton-on-the-Water – 12 miles. 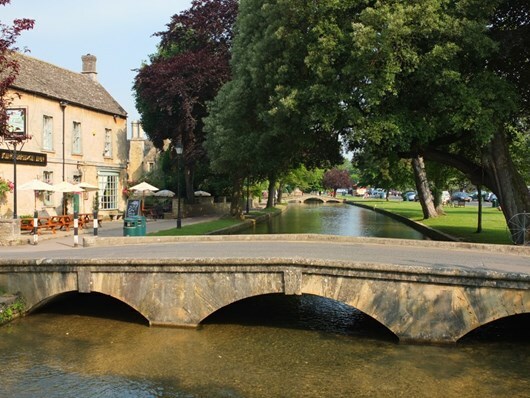 After crossing the high wolds to Stow-on-the-Wold, complete with village stocks and picturesque square, the Heart of the Cotswolds passes through Lower Slaughter to Bourton-on-the-Water, with its many attractions. Day 3: Bourton-on-the-Water to Winchcombe – 13 miles. From Bourton-on-the-Water the route follows the River Windrush to the perfect villages of Naunton and Guiting Power. Then through woods and fields before the descent to the ancient Saxon capital of Winchcombe, close to Sudeley Castle, last resting place of Katherine Parr, Henry VIII’s sixth wife. Overnight in Winchcombe, with its fascinating church and local museums. Day 4: Winchcombe to Broadway – 10.5 miles. Day 5: Broadway to Moreton-in-Marsh – 12 miles. 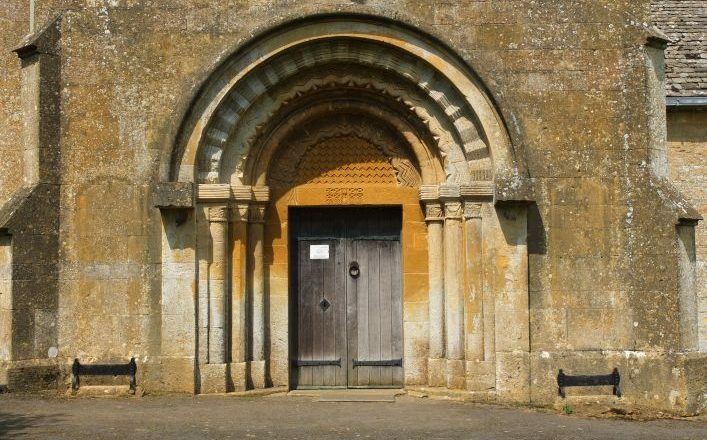 Walk up to the Broadway Tower, the 18th century folly from where there are fine views across the vale before descending to Chipping Campden, the loveliest of all Cotswold villages, with its covered market place, beautiful ‘wool’ church, almshouses, and silversmith. Pass through the charming villages of Broad Campden and Blockley and descend to Batsford, where you may visit the arboretum and falconry centre. Finally, a pleasant stroll across meadows to Moreton. Moreton in Marsh has a direct train link to London Paddington with about 10 trains per day. If you arrive by car, please tell us and we will discuss the options of where you start the tour – as it is a circular route you can start on the day of your choice.